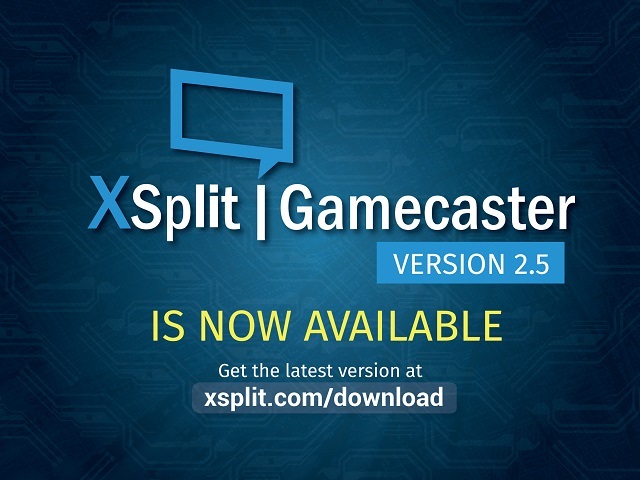 It's been just less than a month since we released v2.4 of XSplit Gamecaster but we're excited to announce another update which is XSplit Gamecaster v2.5. You can update via the application or through the download page. You might be asking what's new with this version since it wasn't too long ago since we released v2.4 which in itself had some pretty good features such as Windows 10 compliance and support for YouTube Gaming. This version contains plenty of bug fixes and feature improvements to show that we're not just after adding new features but we're also listening to your feedback to improve and fix as many things as we can. Most people shy away from doing Chroma key because they don't have a green screen to work with but this integration with TriDef Smartcam completely eliminates the need for one. Check out this video to learn more details. For a complete list of changes, check out our release notes here. Update now and let us know what you think!